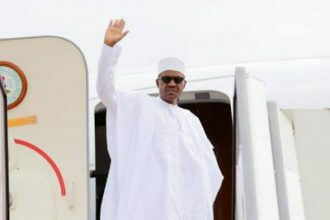 President Muhammadu Buhari yesterday proved he’s fit to continue in office as President of the country. 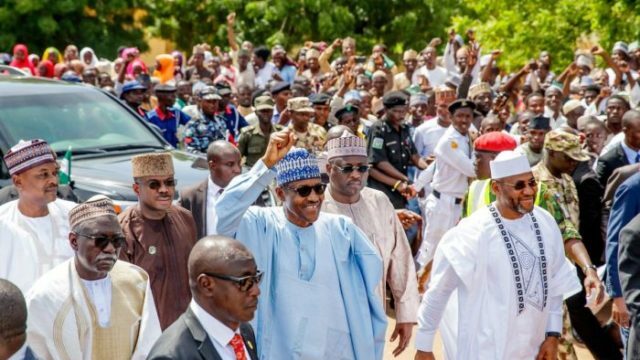 The president who celebrated Eid-el-Kabir in his hometown Daura, Katsina state shunned protocols and walked 800 meters from the prayer ground to his residence, amid cheers from well wishers. 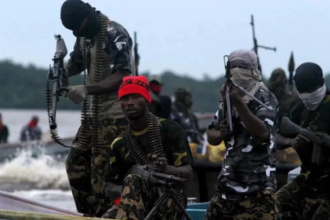 Spokesman of the president, Garba Shehu said there are two things to learn. “One is that the president is responsive to the enormous support and commitment of his own people that came out in their numbers to see him. “And he just decided that he couldn’t go on riding in a black vehicle, and he came out and walked the distance. “I think the president has done one thing today – that the issue is not how old one is but how fit he is; how healthy he is. This is coming after governor of Sokoto state, Aminu Tambuwal suggested that Buhari should not seek re-election on account of his age. “We love President Buhari and that was why we supported him in 2015 unconditionally. But when things are wrong, we have to tell him. “We still believe in his integrity, patriotism and courage. But these are not enough for a leader. “We all know that there is a vacuum in the government, occasioned by his disposition, probably because of his old age or health condition. During the Salah celebration, Buhari also received members of the National Youth Service Corps (NYSC) who paid him a courtesy call. “I think the NYSC is one of the best things to happen to Nigeria, because it gives young Nigerians opportunity to see and know different parts of the country,” Buhari said. Prayers were offered by individuals for the peace and unity of the country.